Guinevere at This is Not My Day Job! Lindsey at Dangerous With a Pen! Congrats! You will both receive a $10 e-card from Amazon.com! Please send me an e-mail at kristinrae023@gmail.com! And do you know what else is exciting? 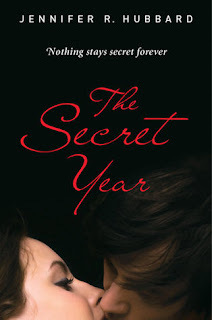 An interview with the author of The Secret Year, Jennifer Hubbard! Be sure to stop by Monday for the interview! It is Guinevere's lucky day! She won over at my blog as well! Must have had the lucky numbers!!! Congrats to the winners! Thank you, Kristin! :D Now I can't say I never win anything anymore, lol! Congrats on your 126 followers and I can't wait to see you interview on Monday. Woo! Wow! Congrats to the winners. 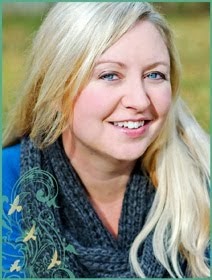 And how very cool that you have an interview with Jennifer Hubbard! I'm very excited about this book. Looking forward to the interview! Congrats to the winners! I'm giving away some stuff (and chocolate, yum!) over at my blog if you're interested. Yay for The Secret Year. Congrats, ladies! Thanks for the fun contest too! Books, Contests and Other Great Things! Who's Been Hoarding the Awards?! Ally Carter - Heist Society - Tonight! LOST, Contests to Enter, and Other Stuff!